With just a click, open all major compression file types, including Zip, Zipx, RAR, 7Z, TAR, GZIP and more. Easily encrypt files as you zip to keep information and data secure. Add watermarks to deter unauthorized copying. Convert Microsoft Office files to PDF and easily resize photos to more convenient sharing sizes as you zip. Connect to your cloud services, and share via social media and email while keeping your files secure. Zip and manage contentCompressing large files and folders makes them easier to transfer and saves storage space. Choose files from your PC using simple, drag-and-drop functionality or get files you’ve stored on Box, SkyDrive, Dropbox or Google Drive to zip instantly. Zip files are perfect for sharing because they let you organize multiple files into one convenient package. Unzip anythingExtract content from the industry’s widest selection of compressed file types, including Zip, Zipx, RAR, 7Zip, BZ2, LHA/LZH and many more. When extracting encrypted files, WinZip auto-wipes all temporarily extracted copies to prevent misuse. Count me in, please. I hope you like a good program, but more useful than winzip winrar winrar do the campaign again. Thanks AppFound for another great giveaway. Please count me in. It is a great utility used for Unzip anythingExtract content from the industry’s widest selection of compressed filetypes, including Zip, Zipx, RAR, 7Zip, BZ2, LHA/LZH and many more. When extracting encrypted files, WinZip auto-wipes all temporarily extracted copies to prevent misuse. Please count me in hoping for winning this time. I would like to best of to all the contestent. I wuold like to thank appfound for giving a me a chance. I’m in on this contest. I hope I win! Thanks! Thanks! Can use WinZip Pro! Great idea!Please, count me in! Once the defactor program for zip archives, may be the best still now. Would like to experience its power and features. Definitely an excellent program of choice. I really could put this program to great use. Would love to be the winner. Одна из лучших программ для архивирования. Спасибо! I’m in for this one also. Very nice, feature-rich program and user-friendly, too. Winzip has improved this software with additional features. Please include me in this give-away. Thank you and good luck to all! great giveway . i hope win this promotion . Thank You. It’s a great giveaway. WinZip – one of the greatest archivator in the world (after WinRAR of course). Wowow, It would be nice to win… WinZip! Winzip is the undisputed king of archives since day one! Consider me for this contest please! Been a long time since I won anything here. Please consider me for this giveaway as this is a great upgrade from my previous application. Thank you Appfound! I would really like to win WinZip! Who wouldn’t? 🙂 Pretty thank you! This is a great and very handy utility. Please count me in! Much thanks to appfound for this giveaway. Thanks for this GA. Please count me in. Zip me up with WInzip! Years ago this was my favorite zip tool! Let’s see how they nurtured over the years… if I win it, of course! Great application, hope I win! Please count me in. Thanks for the giveaway. Winzip is an awesome application. Please count me in for this giveaway. WinZip is an excellent software program! Thankyou AppFound and WinZip! This would be a great app to have. Thanks for the giveaway. Please include me. You can’t do better than Win Zip 17 Pro for unzipping files, plus all the other features. count me in. Great giveaway. WINZIP is the best one. Looking forward to win this one. Count me in, please. 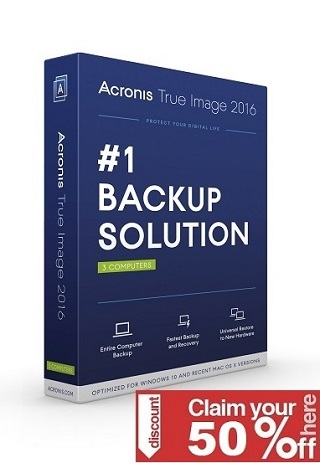 The world’s most popular Zip utility for file compression, encryption, sharing and data backup. Please if you would like count me in. please count for this wounderous compresser. It is a best compressing utility. 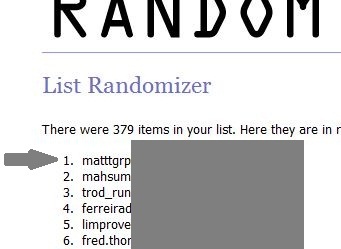 A Superb Give-away AppFound- Thanks! Used to be my only zip utility years back! 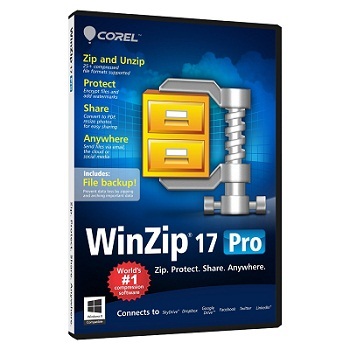 Great giveaway, I would love to have this compression software WinZip 17 Pro. Thanks Appfound.com for giving these chances!!!! I need at this programm.Please. Thank you for the opportunity to possibly win a license to this excellent utility. I enjoy using a good compression program that has far more options than Windows zipping/ unzipping. I appreciate all your hard work in finding these opportunities, and, yes, I hope I win (otherwise I’d be wasting a lot of time now, wouldn’t I?) I do love to read about the software and other people’s comments; sometimes they are very helpful and informative. All in all, I enjoy this site very much! I shall not receive any giveaway, nevertheless count me in. This is a great product, thanks. Thanks AppFound for another great giveaway. I would appreciate if I win a license. This is a no-brainer. Count me in. Pl. count me for this great giveaway. the best compression file types. can i get a copy of this valuable tool? Great giveaway. Thanks. Count me in . Please include me in the Winzip 17 Pro giveaway. Thank you! it is good compression tool for me. Good giveaway. WinZip is the best. Please count me in. Another great giveaway, count me in, please! So great giveaways last days, thanks for it. Count me in for the contest. Good software! You are amazing – my favorites!!! WinZip has been one of the Best programs! Thank you for Giving-Away this Great software! This Program is a must have tool ! I have WinZip 16 installed on my Windows PC. I’d like to make this upgrade! Thanks and count me in! JUST COUNT ME IN, PLEASE. I LOVE THIS PROGRAM. THANK TO APPFOUND. Great little App count me in please & thanks. Thanks for the great giveaway campaign. Wonderful sharing. Thanks for this giveaway. Looks lke great program to try for. Count me in. Thank!! Great! Count me in. Thanks. Thanks AppFound for a great giveaway, please include me in the draw. thanks for winzip pro 17 giveaway, integration with cloud storage interesting option. Great program! count me in, please! Please kindly to include me too for this Giveaway Dude. Thanks AppFound for this awesome giveaway. Count me in. I hate the pop up (free version) that shows up when i open a zip file. Hope to win this one. Count me in-WinZip 17 Pro -great Giveaway. Thank you for this helpful giveaway. Please, can I get one of these. My 7zip does not work all the time. I have an older version of WinZip, it would be great to step up to a 64-bit version of WinRAR! Thanks for another great giveaway.. Count me in.. I could use a quality extractor program. Thank you for this winzip giveaway. Thanks for the raffle foe WinZip17 Pro. Please count me in!!!. Thank You. It would be great to win one of these! I`ll be very greatful if I were to WIN !!!! Good program.Count me in please. I need WinZip to manage and compress large work files. Thanks. Thanks for the terrific contest! Great archive software, please count me in. Great giveaway.Please, count me in. One Of The Best Programms Ever ,Please Enter Me For This. count me please, thanks giveaway. Thank you for this giveaway count me in please. hola, gran articulo,espero ganar y gracias por la oportunidad. Hope to win this great archiver! Thanks and please count me in! Great archiver. Count me in, please. Thank you. Good giveaway. Please count me in. Thanks for the giveaway, count me. Thanks for this giveaway, Count me in!!! Great program. Please count me in. Thanks. Thank you very much for this giveaway. I would appreciate if you could count me in. Thanks in advance. count me plz…. Thank you.! Thanks for this giveaway, I hope I win! Many thanks for this awesome Giveaway ! Awesome tool and I like it very very much. Please, Count me in the draw ! Hope to win 1 Genuine License key. The best compresor.Count me in! Thanks a lot. Count me in plz. Like to get the software. Winziip is the best. Thanks. great giveaway!Please count me in.